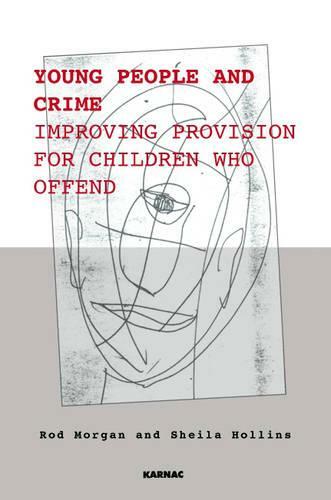 Young People and Crime is the fourth volume of the Winnicott Clinic Lecture Monograph Series, based on the 2005 lecture given by Rod Morgan and Sheila Hollins regarding the mental health of young people in Britain today. Established in 2002 to disseminate the teachings of the distinguished English paediatrician, Dr D. W. Winnicott, the lectures have attracted diverse audiences ranging from academics involved in psychotherapy to those who work with and care for young people in everyday situations. These short lectures by Professor Rod Morgan, Chair of the Youth Justice Board and Professor Sheila Hollins, President of the Royal College of Psychiatrists, provide an overview of the benefits of psychotherapy for all young people and particularly for young offenders, including those with learning disabilities, many of whom have experienced severe emotional problems. This volume is essential reading for those concerned with the health and happiness of the young people in our society.